Escape to Spa Veda at the The Westport Coast Hotel. Ayurveda is an ancient system of Indian health which originated in the state of Kerala, south India, some five thousand years ago. Today it is still a mainstream medical and well-being system in India. A selection of our treatments are carried out by experienced, friendly practitioners from Kerala in India – the home of Ayurvedic Medicine. Experience the purity and softness of the Indian people as our qualified team of Ayurvedic practitioners and spa therapists help you regain your lost health. 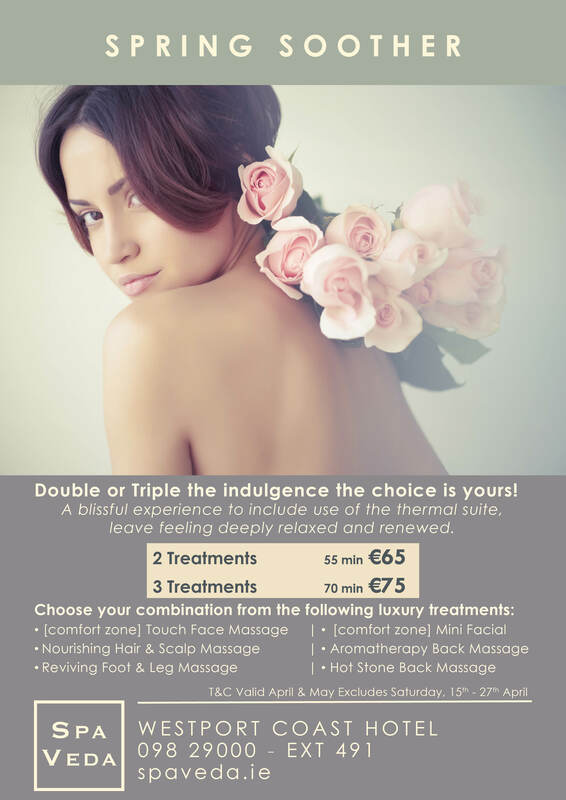 All treatments listed are suitable for ladies and gentlemen. Following your treatment escape to the luxurious Relaxation Suite. Our Exclusive Members Club is available with VIP privileges throughout the Hotel & Spa.